Technology and Pedagogy Integration: A Model for meaningful learnig is designed to support catholic school educators in Western Australian schools. Catholic Education in WA (CEWA) has embarked on aprocess of system-wide digital transformation. The Leading Lights Program is clearly articulated project that operates as a single digital platform for all CEWA schools and provides a paradigm for communication, collaboration, creation and personalised learning. As a digital transformation initiative, it commissions system educators to reflectupon their schools and challenges them to engage in a process that enbles schools to deliver world-class learning experiences.As a School Program Manager for Leadership (Digital Transformation)at CEWA, the researcher is proposing that whilst there is enormous pressure on schools to integrate technology,using technology for technology sake does not allow for meaningful learning to take place in the classroom. The paper seeks to explore the concepts of technology and pedagogy, but also bring to the fore what pedagogy and technology integration actually means as a concept for leaders and teachers, and how this impacts on effective teaching and learning. In doing so, the reseracher makes evident the barriers that prevent effective pedagogy and technology integration from taking place and presents four models that claim to meet the need of all stakeholders in pedagogy and technology integration. She suggests that whilst all models have their strengths and weaknesses, they fail to fulfil one key requirement of education and that is meaningful learning.Through her role, the researcher believes that the TIM Matrix provides educators with a models where pedagogy and technology integration are front and centre allowing for teachers to effectively plan and implement lessons that are student focussed and reflective of various examples pedagogy and technology aligned with meaningful learning. She also suggests that the TIM Matrix provides teachers with a tool for professional learning. The literature aligned with the TIM Matrix islimited. Whilst it was designed for practiioners, it is not a research instrument.Hwever, the researcher believes that it can support baseline data to design, plan and implement technology integration in school programmes and for teacher professional learning opportunities. Nancy Bonfiglio-Pavisich was most recently Deputy Principal at Irene McCormack Catholic College and an active member of the Catholic Secondary Deputy Principals’ Association in Perth, Western Australia. With a focus in teaching and learning, educational leadership and school improvement, Nancy has worked with teachers to facilitate change in their respective schools. She has also organised conferences for teachers and leaders that have offered topics included but not limited to: Vision, Facilitating Change, Empowerment and Health and Well-being. She has a Masters Degree in Educational Leadership and qualifications in Languages, Literacy and Numeracy, Business Management and Religious Education and is also qualified as a Life Coach. With a passion for education, Nancy’s teaching and learning practices are underpinned by evidence-based research. She has also written various publications on Student Access Centres and the Multiple Intelligences, Values Education and Change Management. Nancy is currently studying her Professional Doctorate with a focus on technology and pedagogy integration. Wife to Mark and mum to Jacinta and Kascia, Nancy spends her time reading, watching movies and going to the gym. Acara (Australian Curriculum, Assessment and Reporting Authority)., (2012). https:www.acara.edu.au. Date Accessed 10 December 2017. Beetham, H., & Sharpe, R. (2013). Rethinking pedagogy for a digital age: Designing for 21st century learning. (2nd ed) New York: Taylor & Francis. Berkeley-Jones, C., S. (2012). A study of the relationship between levels of technology implementation (LoTi) and student performance on Texas assessment of knowledge and Skills (TAKS) scores. Doctoral dissertation, Texas A&M University. Gomachika, H, S, H., & Khangamwa, G. (2012). ICT readiness and acceptance amongst TEVT students in University of Malawi, Campus-Wide Information Systems, Vol 30 (1) 35-43. (Date accessed: 10 December 2017). Kimmons, R. (2017). K-12 technology frameworks. Adapted from R. Kimmons (2016). K-12 technology integration. PressBooks. Koehler, M.J., & Mishra, P. (2009). What is technological pedagogical content knowledge? Contemporary Issues in Technology and Teacher Education, 9 (1), 60-70. Ritzhaupt, A.D., Dawson, K., & Cavanaugh, C. (2012) An investigation of factors influencing student use of technology in K-12 classrooms using path analysis. 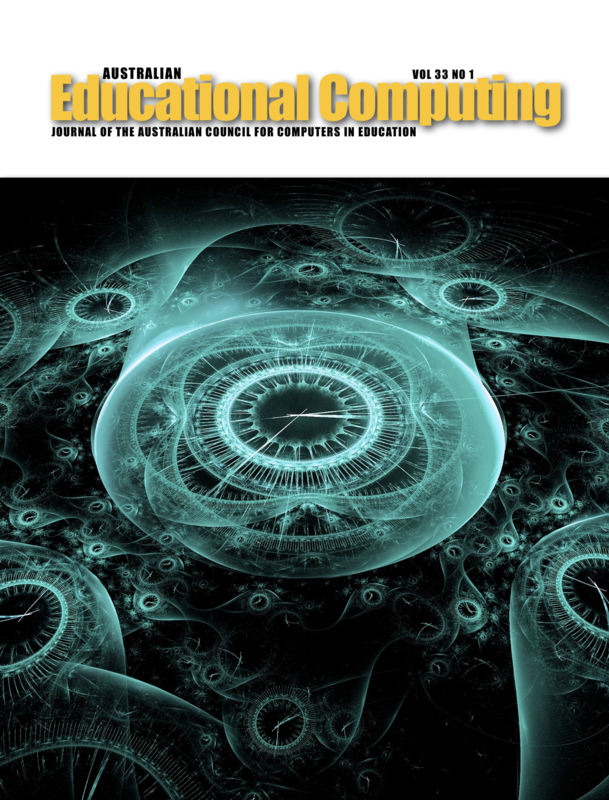 Journal of Educational Computing Research, 46 (3) 229-254. Baywood Publishing. Sandholtz, J.H., Ringstaff, C., & Dwyer, D., C. (1997). Teaching with technology: Creating student-centred classrooms. New York: Teachers College Press. Welsh, J., Harmes, J.C., & Winkelman, R. (2011). Florida’s Technology Integration Matrix. Principal Leadership, 12 (2), 69-71. Zucker, A., (2012). Using digital tools to help transform schools. Retrieved from: http://www.advanced.org/source/using-digital-tools-help-transform-schools.